Millennials are forming a larger part of Singapore's workforce and their presence will only get stronger as this generation moves to upskill positions in the years ahead. If you're part of an organisation that aims to drive you millennial market, you're surely curious to find out more about what motivates the new generation. 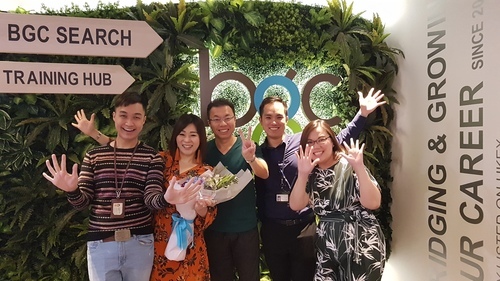 Singapore job recruitment agency, BGC Groups, explores some of the key factors that inspire millennials in the workplace. Perhaps more so than any generation before them, millennials want to feel invested in their jobs. They want to make a positive impact in the organisation they’re working in – and if the business is positively influencing its external environment and community, that’s an even bigger source of motivation. Be sure to give your employees feedback on their work. Feedback, either good or constructive is beneficial to millennial employees. It helps them to see the big picture and value in their work. In short, providing your millennial employee with in-depth feedback allows them to feel appreciated. When millennials show up for work, they’re looking for more than a paycheque. Don't get us wrong, the younger generation do want their money, but they're also looking for an environment to nurture their growth. They're looking for an environment that can nurture their growth. To millennials, opportunities for growth translates in the form of job challenges, project variety, or unique training/development programmes that the company has for its employees. The gives enthusiastic millennials the opportunity to learn on the job, and be mentored by seniors and enhance their job skills – improving their chances for career progression. By cultivating an environment of continuous improvement and learning, millennial employees remain engaged and loyal to the company. A survey by Bridge discovered that 67% of millennials will leave a job that denies them growth opportunities. Additionally, the study revealed that 86% of millennials will stay in the current job only if further career training and development were provided. Whilst some older workers may be unfamiliar with "YOLO", millennials, on the other hand, live by it. Short for "You only live once", YOLO is a mantra that reminds millennials how life isn't about work. Instead, work is a part of life – and their careers should integrate into their lives (instead of having their lives revolve around work). Compared to the older generation, Gen Y employees tend to blend both their work and life into one due to the access to seamless technology available. 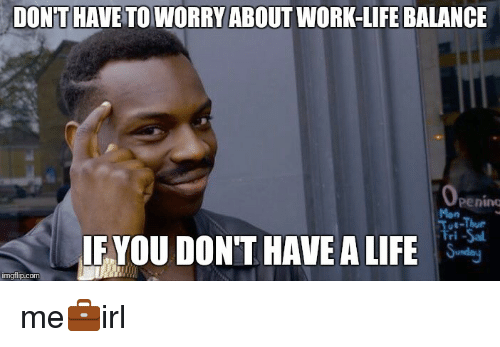 Think about it, most millennial workers may choose to answer work emails on their way to work at 8.30 in the morning, shop online during work hours, and hold online discussions with colleagues late at night, poses Inc. Interestingly, a study by Randstad reports that 42% of employees check their emails whilst on vacation. For this generation of employees, work-life balance is key. So, if your organisation wants to take on more millennial employees, you should invest in flexible work arrangements. No one wants to work in a dull, grey office, especially the younger, free-spirited individuals. Millennial employees want inspiring offices that reflect their personalities and inspires them to create great work. Offices that inspire can feature natural sunlight, bright and exciting colours, as well as decor that looks and feel rejuvenating to the soul. Not looking to spend major cash or include major changes to the office? Affordable alternatives include a small succulent garden or even a fish tank filled with colourful sea creatures. Read our article, "The Kids Are Not Alright: Why Millennial Employees Lose Their Motivation" for more ideas to spruce up your drab cubicle! Money – a motivating factor for millennials and older generations alike. Whilst a decent salary may not be the biggest motivating factor for millennials, it's still a priority. According to Seedly, the average salary earned is $5,596 per month. To attract more millennials, consider offering a salary package attractive enough to keep them motivated in your team. Millennials are a flaky bunch, with research stating that nearly 50% of millennial employees plan to leave their respective companies after two years. Brand values matter to today's youth. Millennials don't want to step into an office, they prefer working in an organisation. The new generation wants to work in an organisation with a heart and soul – one with aligned culture, values and practices. Interestingly enough, older members of the workforce are also taking both company and brand values into account. If you have a strong, charismatic CEO (like we do), who leads the company according to strong brand values, you’re more likely to have millennial employees who will respect this leadership. If not, then you will need to build a strong brand and a company culture that everyone in the organisation can look towards for direction. What do you want from your workplace? Let us, BGC Group, a recruitment company in Singapore, know in the comments section below!